Because if you’re going to take the time to grow the beard of all beards, you need to take care of it, groom it, and nurture it on the regular. Using the right beard oil for your hair and skin type can make all the difference. It’ll keep your beard hydrated, moisturized, softened and tamed enough so you don’t look like you belong on the wall of your local post office. 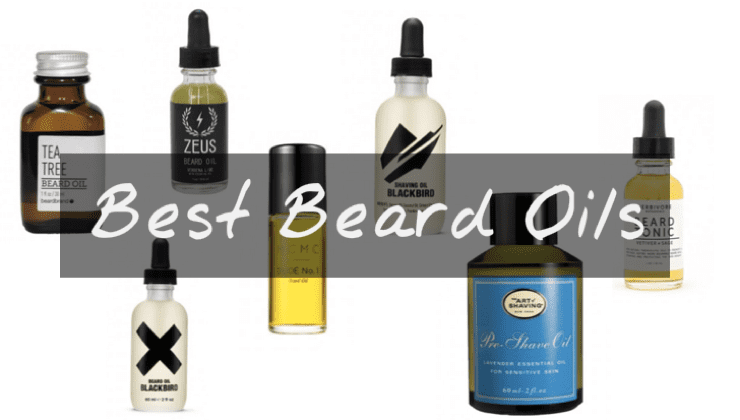 Check out our top picks for the best beard oil for men in 2019 and then learn exactly how you should apply it. So How Exactly Should You Use Your Favorite Beard Oil? Wash your face in lukewarm water using a facecloth and your favorite exfoliator to gently scrub away dead skin. Dry your face lightly. Don’t rub your face roughly with the towel. That just irritates your skin and your beard. Once dry, add between 3 and 5 drops of your beard oil onto your hand and rub it around for a few seconds to warm it up. Use your fingers to lightly rub the oil into your beard in its entirety. Be sure to get the sides just as much as the chin area. Go out and be awesome with your well oiled beard. What’s the Difference Between the Different Beard Oils? Tea Tree based oils drastically help with itchy beards. It softens and helps to settle that annoying itch/burn that can sometimes sneak up on you when you first start growing it. Fruit oils, especially those with lime, have a fresh scent that’s not overpowering and can help with skin issues under the beard. Just don’t go overboard while applying it or you’ll start to smell like a fruit salad. Coconut oils are probably the best for hydrating your face especially when it’s as dry as the desert. Peppermint and mint in general helps to fresh and invigorate your beard and skin. If it’s time to trim and clean up your beard try out one of the seven best beard trimmers for guys this year.